Well you knew it was coming, the warm summer weather and NW winds have officially arrived. This has made it difficult to impossible to get over to Thrasher so the vast majority of our trips this past week were confined to local waters or up in Howe Sound to avoid the heavy seas. When the winds allowed we did fish off S. Bowen from Cowan to Roger Curtis and there were some fish around. 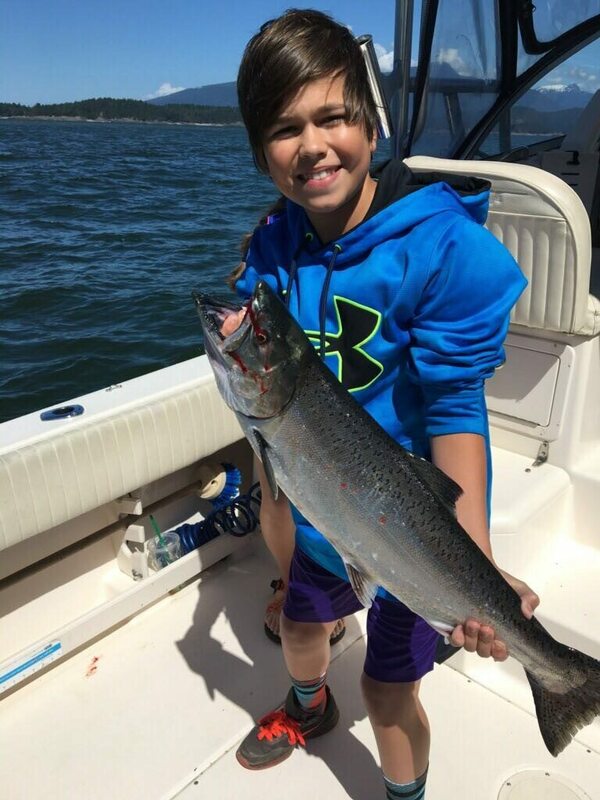 There were a couple of days mid week where some decent sized schools of chinook showed up and we had some great fishing. Other days the numbers were low or the fish were dispersed and we had to grind for the fish we did get. Nothing has changed from previous reports on what is working. Spoons and anchovies in the 60-120 range on the downriggers. On the days where it was too rough to fish off S. Bowen we went up to Hole in the Wall and did find the odd fish. There are still a few feeder chinook in this area, but in general the fishing was fairly slow but at least the water was calm. There should be a few larger Squamish and Cheakamus chinook showing up in this area over the next few weeks, usually beginning of July it will pick up. 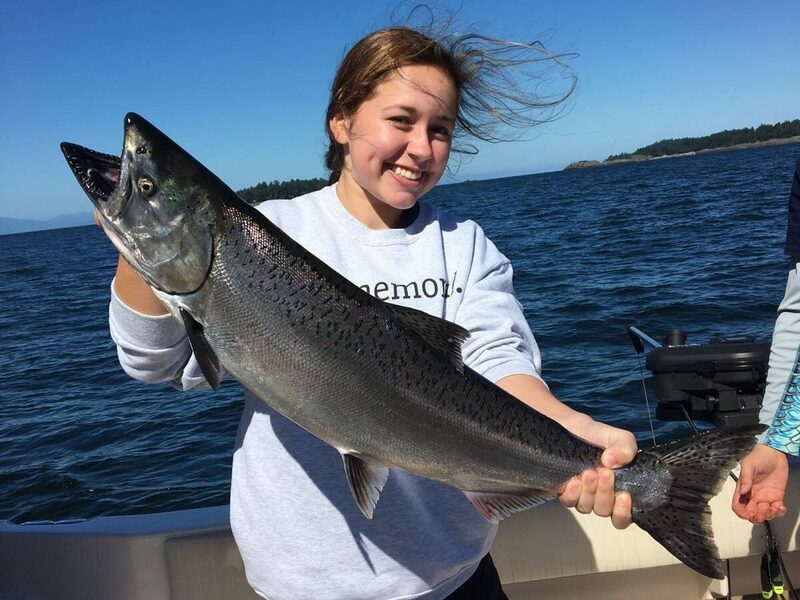 The fishing is better off S. Bowen, but if it is too windy, at least you can hide up in Howe Sound and get the lines wet. 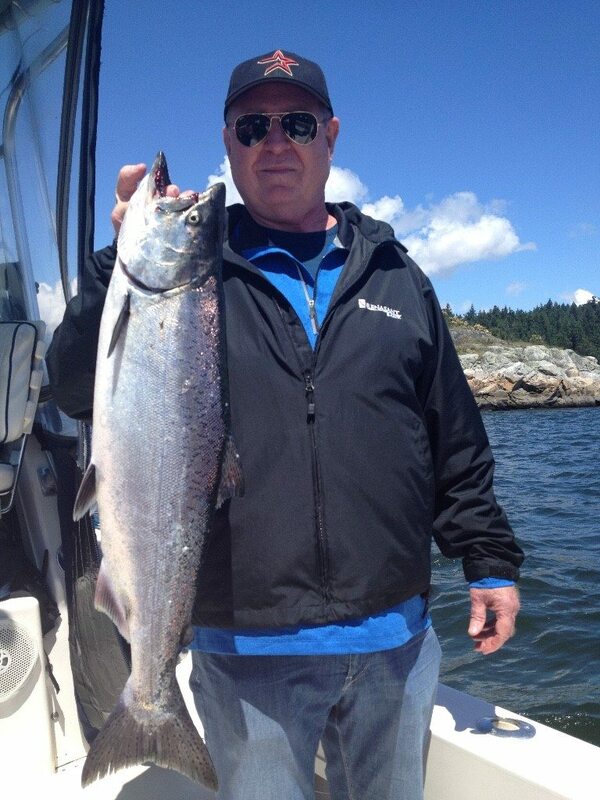 There are also a few Capilano coho being caught around Point Atkinson and off W. Van flats. There are already fish in the river, so we know some are out off W. Van, but it is still a little early to expect consistent fishing. For this fishery keep your gear up shallow, from just under the surface down to about 45 feet and use white UV hootchies. We will feature some more in depth information on this fishery once it picks up in early July. Crabbing is pretty much finished as the commercial fleet has been open for over a week now and they have pretty much cleaned up all the legal size crab in the harbour.